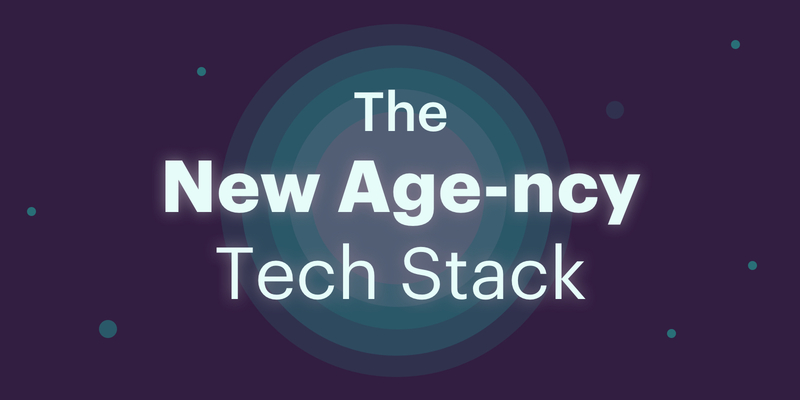 A tech stack is a set of technology tools or apps your agency uses to work more effectively. The hard part is putting together an effective one. There are hundreds of tech stacks out there that have been created for agencies. But this doesn’t mean that just any tech stack will have the tools required to best do what your agency specializes in. When looking at tech stacks, don’t focus on how blingy the stack looks or how many features it offers. Focus on what your agency does, then find the technology that’ll help you do this even better. 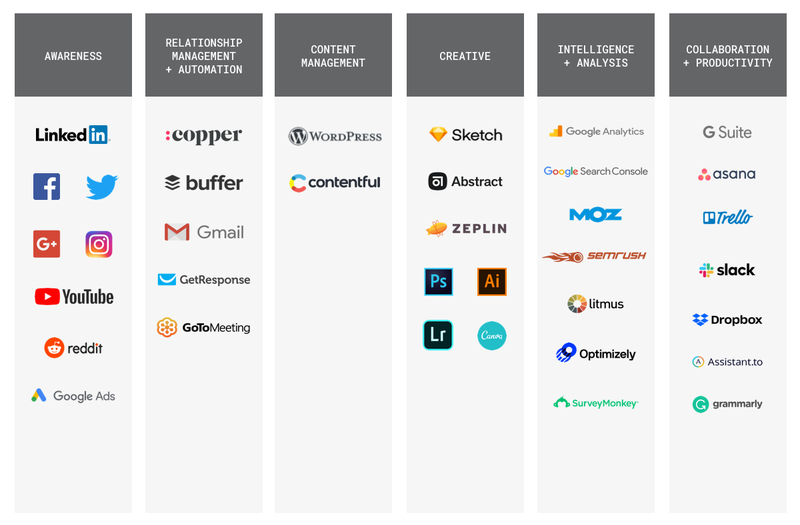 So, how exactly do you choose the tools that will make up your agency tech stack? This post will help you figure that out. Here’s what an agency tech stack looks like. We’ll go into more detail about each of these outcomes next. Why you need it: Relationships are everything. Not to be biased, but your CRM is hands-down the most important component of your tech stack. It’s where all your customer data and interactions will be stored, and should serve as the source of truth that anyone in your organization can refer to in order to see where any lead, prospect, or customer is at in your funnel. Then there are the marketing automation tools. 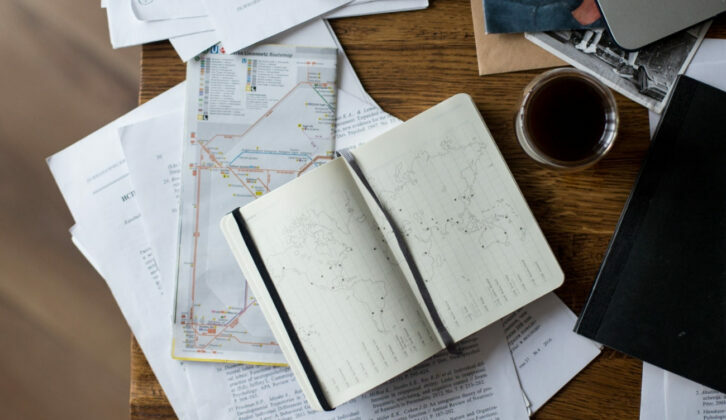 These programs streamline the tedious stuff like manually sending emails and posting content online, so you can spend time focusing on your marketing strategy instead. They also give you insights into how effective each of your marketing campaigns really are. Of course, we also included email in here because this is where you’ll handle RFPs and proposals, which is kind of important. Why you need it: Your website is likely already either hosted on a CMS (aka. content management system) or has a CMS incorporated into it. A CMS is what powers web content like your blog and FAQs. A good CMS has a user-friendly interface that allows you to make changes to your site content quickly and easily—no coding knowledge necessary. Why you need it: If you’re running any type of creative agency, you’re going to need the right software to put your skills and expertise to work in the most effective way possible. For example, if your agency does a lot of photo-editing, it may be worth investing in an Adobe Creative Cloud membership giving your team access to powerful tools like Photoshop and Lightroom. On the other hand, if your company focuses on UI design, programs like Sketch, Abstract, and Zeplin might be more suitable. Why you need it: You need to know whether or not your marketing efforts are working, and use the data to constantly improve them. For example, a website analytics tool like Google Analytics can tell you what visitors are doing on your site, how they interact with it, and what their goals are. With this information, you’ll be able to make the necessary UX/UI improvements to your site to help visitors achieve their goals which will ultimately increase your sales. Why you need it: Email’s great and all but it’s not the most efficient way to have a back-and-forth conversation or work on projects together. That’s why it’s good to have an instant-messaging platform like Slack as well as collaboration software like G Suite that allows your whole team to share and work together in real time, regardless of where you are. Project management software like Asana will tell you exactly what everyone is doing, who’s doing what, and when everything is due—all in a central location so your team’s always in the know. Best-of-breed vs. single vendor—what’s better? When shopping for a tech stack, you can either hand-pick your programs—called a “best-of-breed” tech stack—or go to a single vendor to provide you with a package of solutions. There are pros and cons to both of these options. Best-of-breed means you get to choose each program yourself and build your own custom stack. One of the biggest pros of this is you can add programs gradually instead of dishing out thousands of dollars at once to purchase a whole stack. This is especially nice if you’re a smaller agency and don’t have the capital to fork over. You can implement things slowly versus going through a mass implementation and adaptation phase company-wide, as each program will basically be plug-and-play. This is also means you have the flexibility to switch out programs that aren’t working as they won’t be part of a bundle. Because you’re only getting programs you truly need, this option is usually a lot less pricey. The downside of best-of-breed tech stacks is you’ll have to spend a lot of time researching all of your options to ensure they are a good fit for your agency, will give you your desired outcomes, and will integrate with the rest of the chosen technology in your stack. Single-vendor solutions have already done the research and put together tech stacks specific to your industry. Single vendor solutions make the decision-making process easy by putting all the tech together for you. There’s no need to spend tremendous amounts of time researching or contacting different vendors. All these programs should integrate with each other already, so you don’t need to worry about that either. When it comes down to purchasing, getting a single-vendor tech stack is the more convenient solution as you’ll only need to contact one person for all your needs. This is a benefit after the sale too, as you’ll have one central point of contact to direct any support-related questions or concerns to. All that convenience comes with a price tag—single-vendor tech stacks are generally more expensive. This is because they’re packed full of programs, some of which you may not even need, which is another downside. Also, because you’re buying all of your tech at once, you’ll have to go through a large transition phase to move everyone over to the new technology. This can drain a lot of time and strain your staff. Well, according to the Walker Sands State of Marketing Technology 2017 whitepaper, 48% of marketers are using best-of-breed marketing technology stacks while only 21% have opted for single-vendor solutions. Because agencies tend to work at an agile pace and are price-sensitive due to their small size, you’re probably better off going the best-of-breed route. Here’s how to start planning your best-of-breed tech stack (and make sure it’s a good one). 1. Focus on the outcome, not on the tech. Make a list of outcomes you’re trying to achieve with your tech stack. This will help you pick products that’ll get your desired outcome instead of settling for products that simply have the most features. Once you’ve got your list of desired outcomes, number them by importance. Remember that one of the pros of best-of-breed tech stacks is that you can implement programs gradually and take time to decide what suits your agency best. Prioritizing them will help you decide which order to implement them in. Decide what the foundation of your tech stack will be. The rest of your tech decisions should be based on how well that technology integrates with your foundation to give you your desired outcome. For example, if your primary goal is to build positive relationships with your customers (good choice), you may choose a CRM to be the foundation of your tech stack. This means you’ll assess all other technology based on how well they’ll integrate with your CRM. Probably the least fun but most important part: researching which technology you’d like to include in your stack. (Hopefully our examples above help get you started!) Add your picks to your list of desired outcomes next to the outcome(s) they’ll support. Create a timeline or benchmarks that must be met in order for you to purchase a piece of technology from your list. As your business grows, you can integrate the rest of your list as needed. 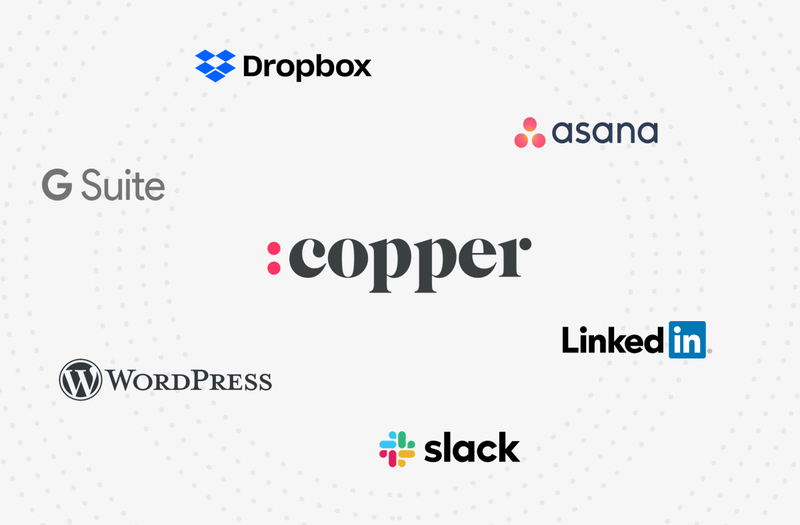 We’d love to hear what your top picks were for your agency tech stack. Tweet us!